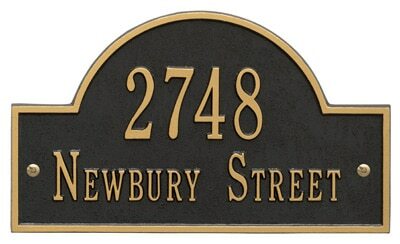 The MailboxWorks offers a huge selection of custom and personalized house address plaques and numbers including brass and cast aluminum address signs. 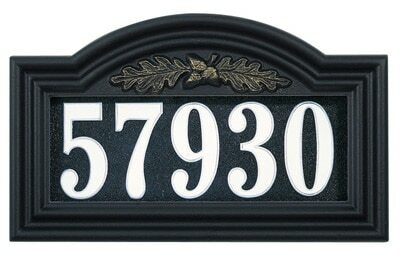 Regardless of whether you need house numbers and letters, wall address plaques, lawn markers, or hanging address signs, we have what you need. Customize them to create a unique and distinctive look for your home or lawn. 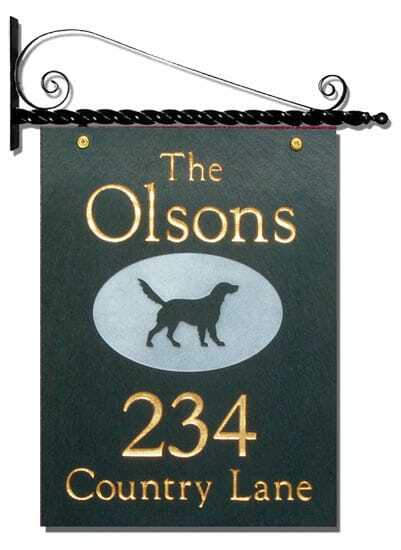 Buy brand name house address plaques online at The MailboxWorks including Whitehall, Gaines, Qualarc, Stone Mill, and the Majestic collection of solid brass address lawn markers and signs. 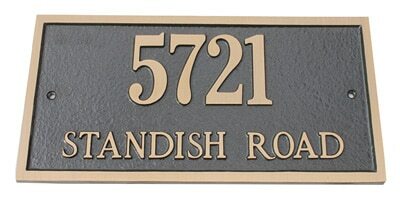 The MailboxWorks carries cast aluminum house address plaques in every size and shape imaginable. Check out our selection of round, oval, vertical, square and rectangle shapes. 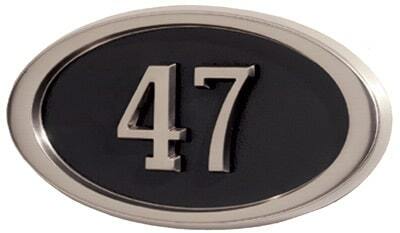 For improved visibility we also carry hanging, reflective, and lighted address signs. 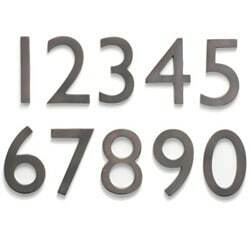 If you prefer individual house numbers to mount for your address you can choose from small, large, and oversized house address numbers in a variety of unique finishes. 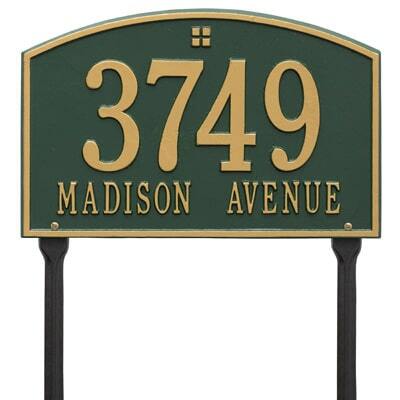 We carry ceramic, copper, and stainless steel home address numbers by major brands like Majestic, HouseArt, Laguna, and Ecco. Emergency address signs are easily mounted to your mailbox to make your house easy to find by police, ambulance, fire, and even delivery personnel. The MailboxWorks is North America’s leading online source for everything mailboxes, including lawn markers and home address signs. If you are in a hurry, we also have a selection of aluminum address plaques that ship in as little as four days. 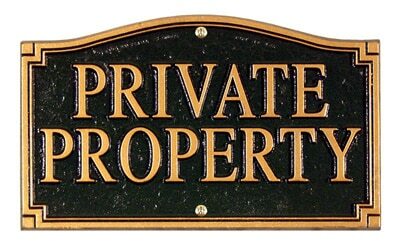 Plus, we carry a wide selection of Private Property, No Trespassing, and other statement and memorial plaques. For assistance in ordering any of MailboxWorks’ address plaques, lawn markers, or hanging address signs, please call us Toll Free at 1-866-717-4943 or use the “Chat with Us” feature on our website.